Hey there! Looking for a quality treat to share with your kids this Valentine's Day? Well, this fun project has a little something for everyone. 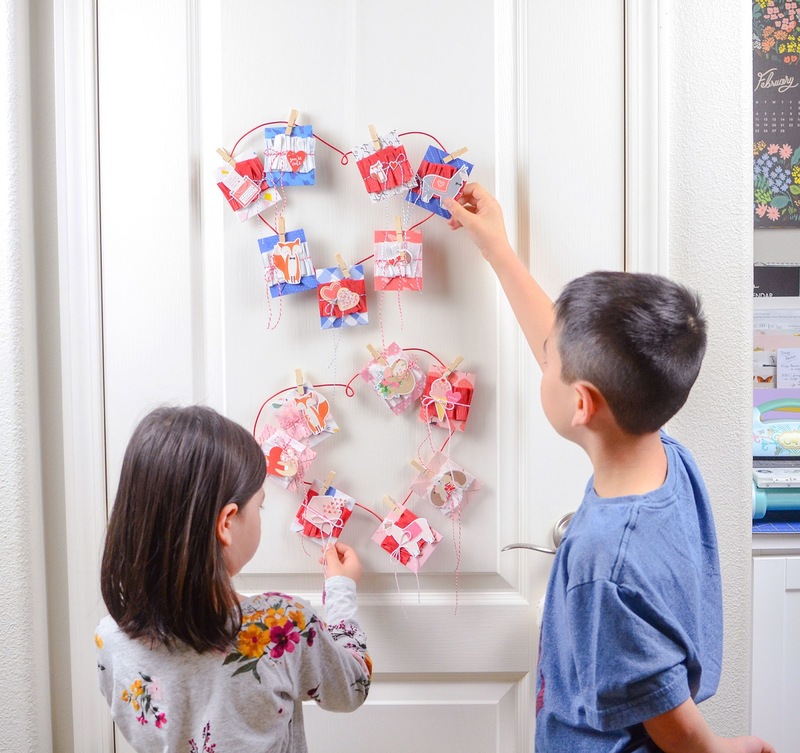 I was looking for a way to do something special with my 8- and 5-year-olds, that wasn't store-bought, but was disguised as a new surprise everyday from February 1st through February 14th. I came up with the idea for a Valentine countdown, and while we're only a couple of days in at the time of this writing, it's been a big hit already! 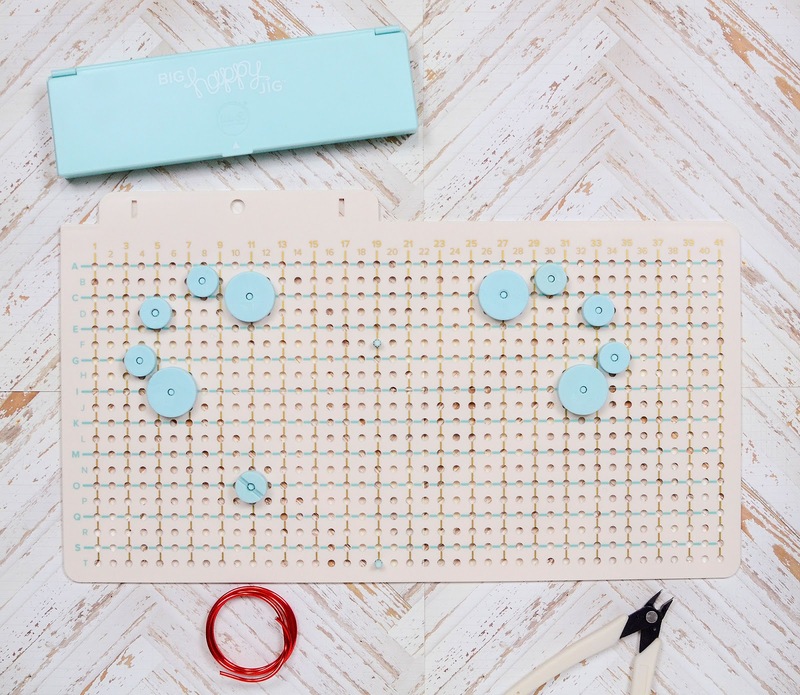 I began by using my We R Memory Keepers Mini Envelope Punch Board to create 14 small envelopes. They are sized to fit 2 1/2" x 3" cards, and I made them with an assortment of patterned papers from Crate Paper. Each envelope only uses a 4 1/2" square of paper and the mini punch board is so easy to use, creating them only took about 10 or 15 minutes. After making and assembling those, I trimmed white card stock to make flat cards to put inside them. I already know the kids will get enough candy in school, and they really don't need anymore toys so soon after Christmas. So on each card, I wrote out an activity we can do as a family that day. We can play a game, go to the park, go on a hike or a bike ride, make cookies; just as long as we're doing it together. My kids are young enough that they still love it when we can play with them, and are very disappointed if we can't due to work, house cleaning, or meal-making. So far, they've been enjoying opening these treats! Once I had all the cards tucked snugly inside their envelopes, I dressed them up a bit. 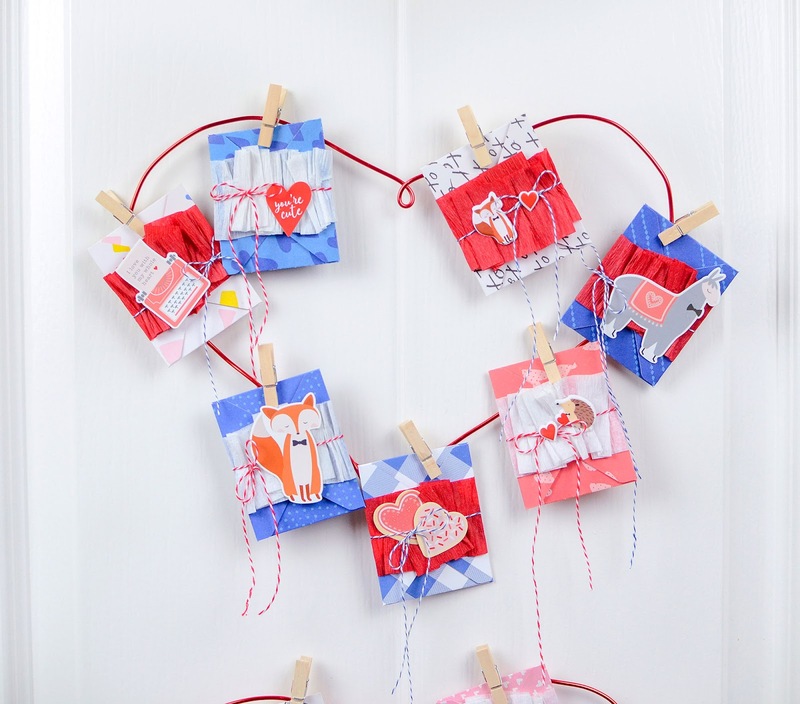 I wanted to keep them simple but still fun and enticing, so a band of ruffled crepe paper tied on with twine was an easy way to secure the envelope closed; the band just slides off for easy opening. 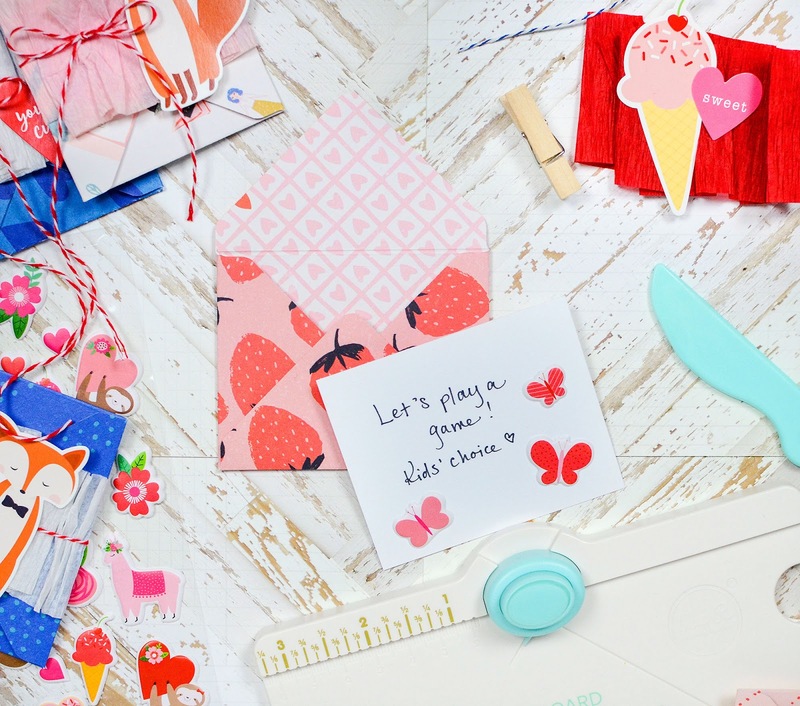 An adorable mix of Valentine stickers from Pebbles are so perfect for young boys or girls, and add the perfect finishing touch! 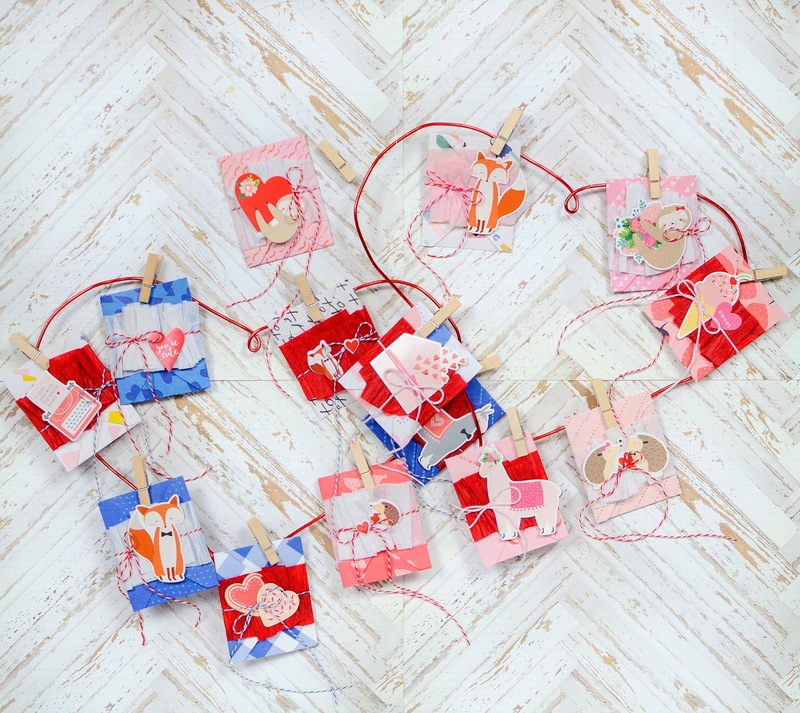 Next, I had an idea to display them on wired hearts, thanks to the new Big Happy Jig, also from WRMK (available in stores soon!). 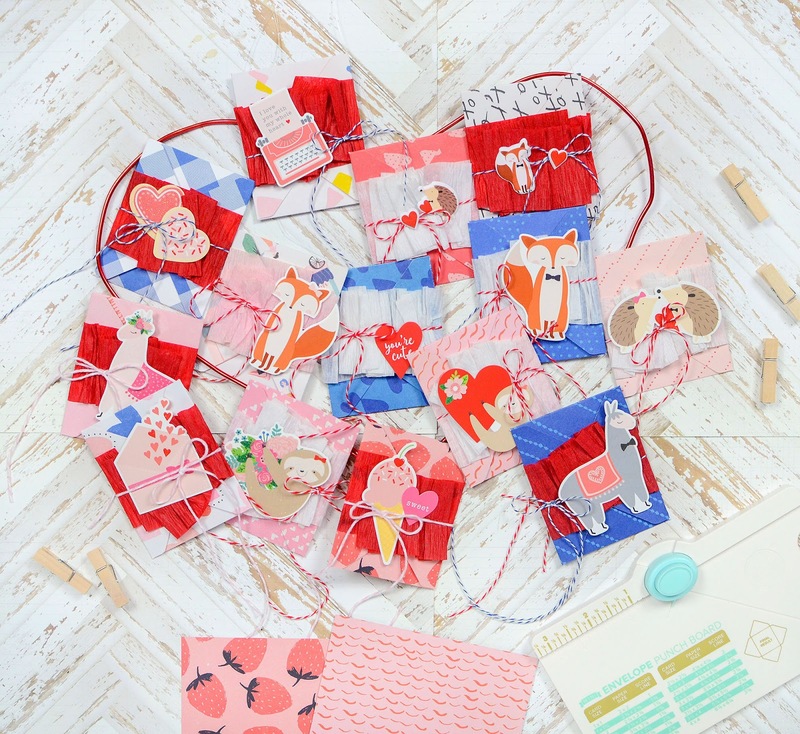 While there is a double heart pattern found in the accompanying booklet, it wasn't quite large enough to hold all 14 valentines so I had to come up with my own. I loosely used the heart pattern that goes with the original Happy Jig as a guide, and figured out how to make it a lot bigger! *If you want to follow my pattern, you'll need 35" of wire. You can use the above photo as guidance. Luckily a heart isn't too difficult to figure out so I created 2 of them using some of the thick red wire. 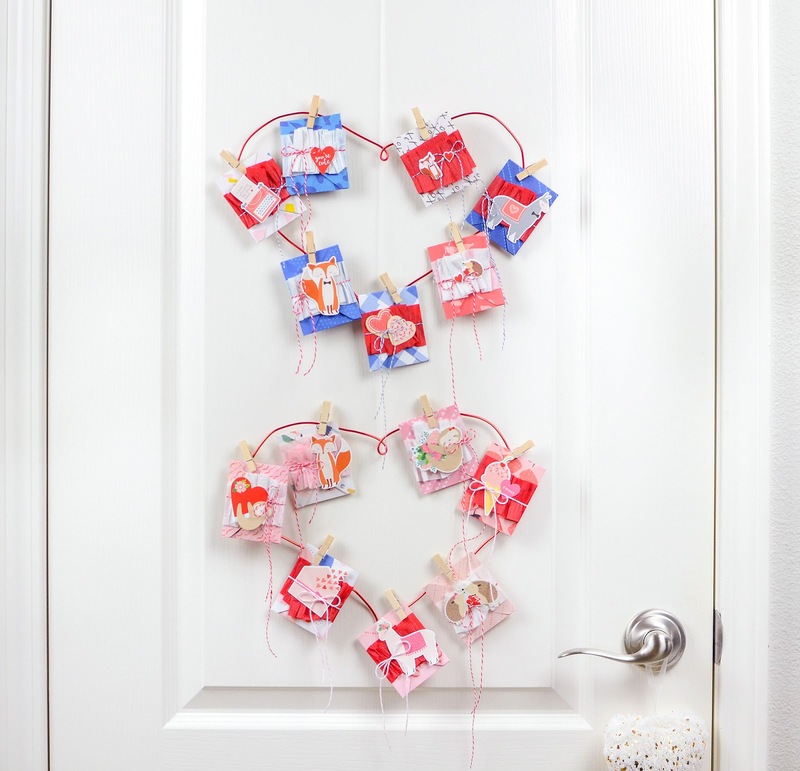 I hung the hearts on a closet door with fishing line (Gus's is on top because he's taller), and attached each envelope to the corresponding heart with a mini clothespin. 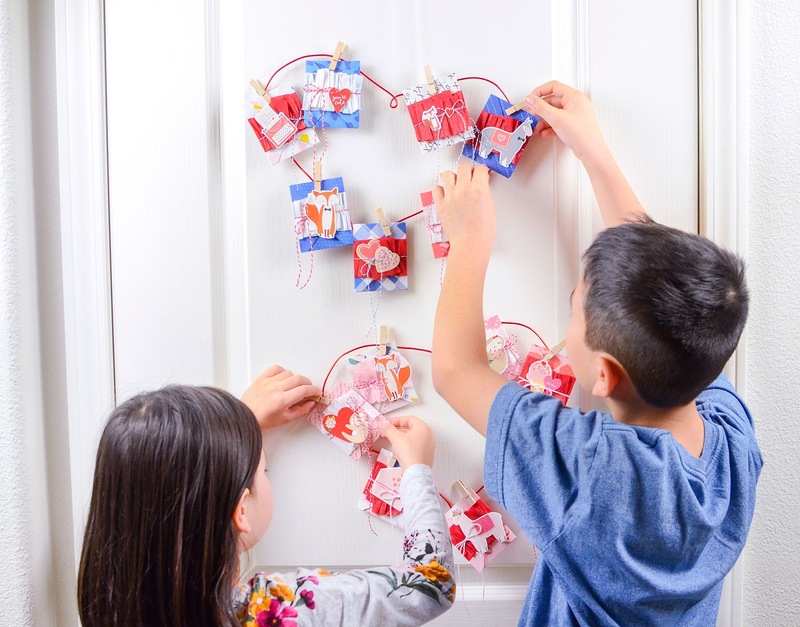 It's a fun family activity, and cute Valentine's Day decor all in one! 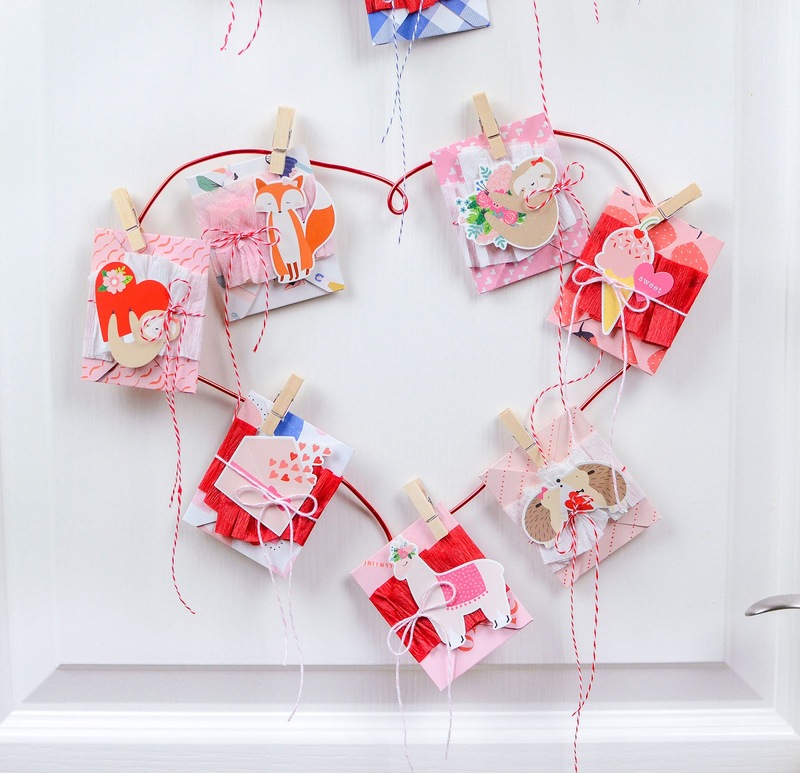 Tip: You can change up this project by excluding the wired hearts and hanging the envelopes on twine as a garland, or display them in a basket. These would also make cute school valentines. 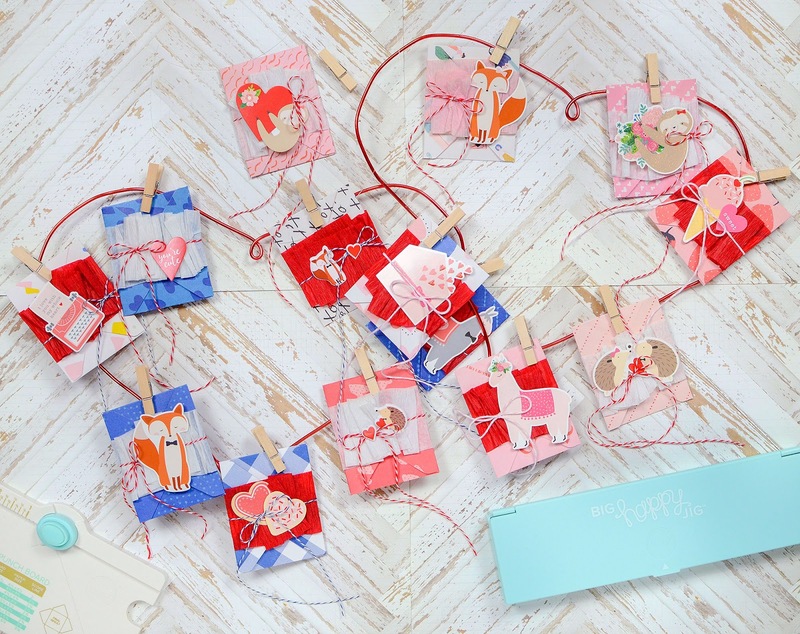 If you love the idea of the wired heart, be sure to save it for next year and repeat the Valentine countdown! Valentine's Day doesn't have to be all about candy and gifts (though I'm secretly hoping for a box of chocolates ;). You can sneak a little memory-making into it, too, and I bet your family will love that just as much!